This is just one of the many quotes from Garret Oliver that truly sunk into my brain and had me thinking about the very essence of craft beer and what it means to me personally. 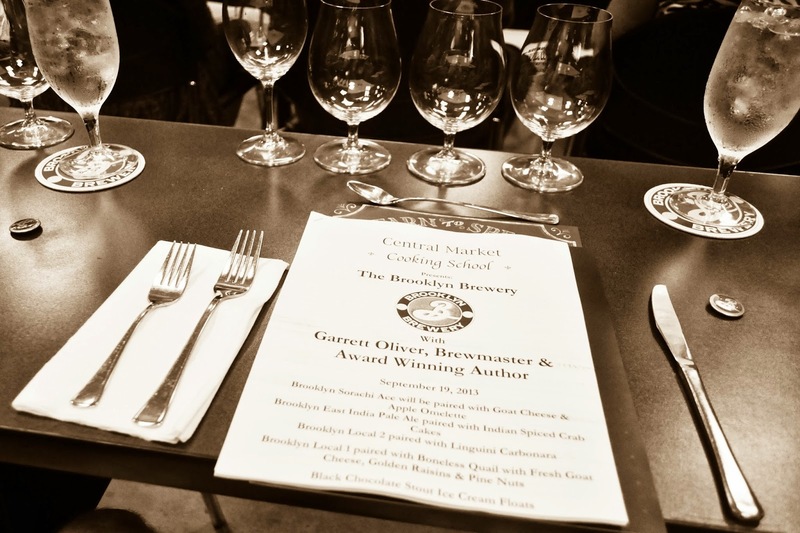 Last night, thanks to Central Market, I had the pleasure of partaking in a cooking class/beer pairing led by none other than Garret Oliver. As the presenter noted, Oliver may be the most well renowned expert on the subject of not only beer, but also beer and food, a fairly new venture in the culinary map of America. So to say I was excited would be an understatement. Beer and food has always been intertwined in the webs of many cultures, especially Belgium. 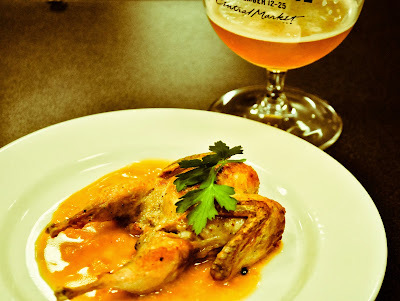 Belgium takes their beer and food very seriously, and rightfully so. America has put this on the back burner it seems. 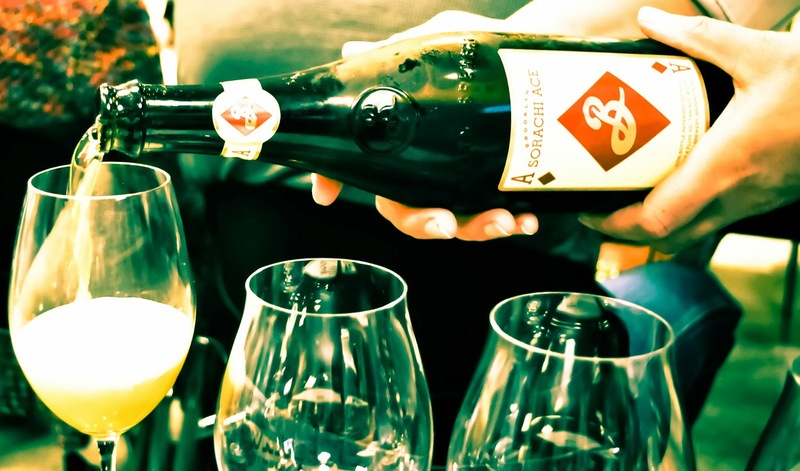 A combination of both beer and food becoming industrialized and people being brain washed that wine is the ultimate and more elegant choice is perhaps why this has happened. However, because of people like Oliver, beer is regaining its proper place on the table. The meal started off simple with a goat cheese and apple omelette paired with the Sorachi Ace. The crowd was served overcooked egg souffles in a ramekin while Oliver made a delicious looking omelette for the demonstration. While being overcooked, the flavors were still great. I loved the tanginess of the goat cheese and the crisp sweetness of the apple together, while the apple brought a little textural contrast as well. 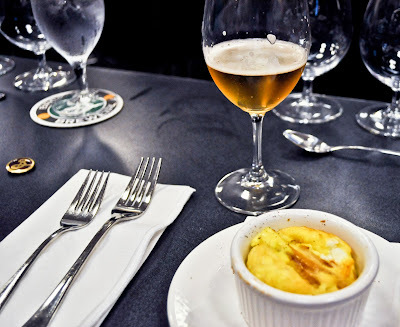 The Sorachi Ace really paired great with that goat cheese, almost fortifying that tanginess and bringing some brightness to the dish. 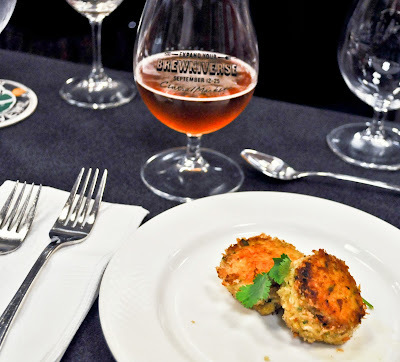 Next up was my favorite pairing of the night, Indian spiced crab cakes paired with the East India Pale Ale (see what he did there?). 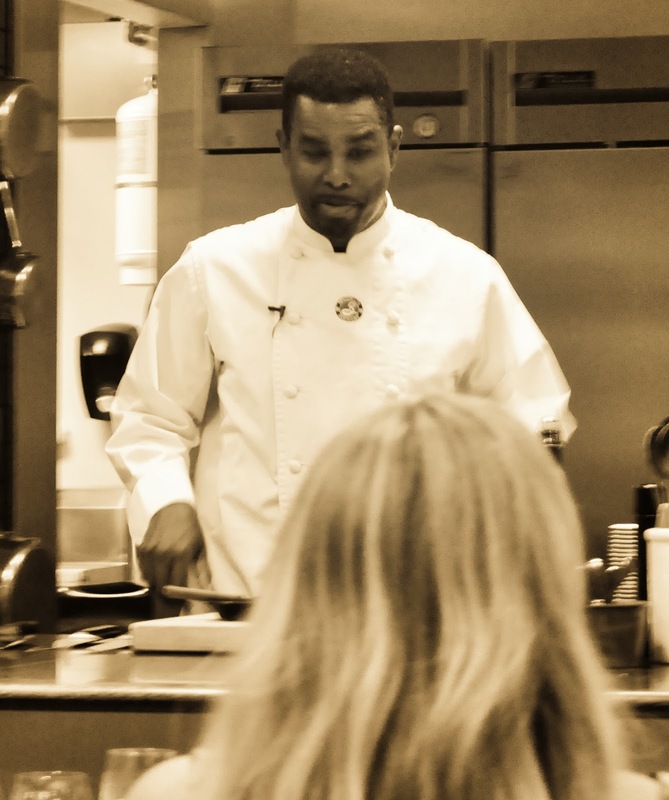 Oliver created fantastic crab cakes spiced with curry and jalapeno. The malt backbone of their IPA linked so well with the sweetness and caramelization of the crab while the hops intensified the spiciness and even brought out some fruitiness. This is definitely something I will make at home. Wonderful! The next dish was another winner in terms of flavor, while the pairing fell a bit flat for me. 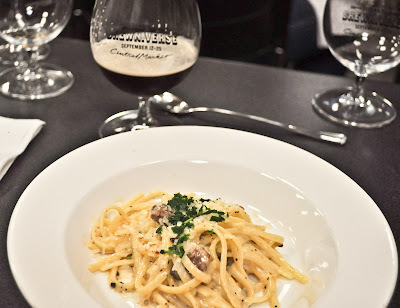 Local 2, a beer similar to a Belgian dubbel, was paired with linguini carbonara. For me, the beer was just too big for this creamy dish. I did enjoy the beer with the crispy pancetta, marrying the caramelized sugar profiles of both the beer and pancetta. I would have loved to have tried the Local 1 with this dish, as a little spritziness would have cut through that creaminess. Local 1, my favorite among the Brooklyn beers, was next on the list being paired with boneless quail stuffed with goat cheese, golden raisins and pine nuts. The aspect to Local 1 that I love so much is the fact that it is so diverse. As Oliver stated, it can be '...background music, something you can just drink and enjoy.' Or you can '...put on the headphones and really listen to the music.' This beer, in my mind, could pair with leather boots and it would be a great pairing. 'I give you full permission to put ice cream in my beer.' Yes, you heard the man, you can put ice cream in his beer. 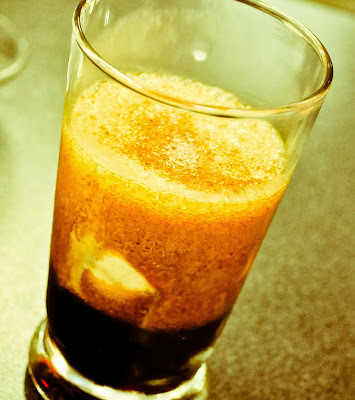 And truly, vanilla ice cream and Black Chocolate Stout floats will change your life. Try adding ice cream to wine...I dare you. This is going to be a go-to dessert for me in the future. I didn't want the night to end. Overall, two and a half hours of watching Oliver cook some of his favorite food that he cooks at home made me feel like I was at one of his famous dinner parties. Which, by the way Oliver, I'm still waiting for my invitation. It's okay, it must have gotten lost in the mail. I'll blame USPS.